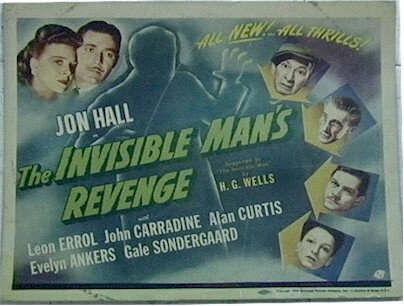 Great Title Card from the 1944 classic "The Invisible Man's Revenge". Very good condition, with minor stains on borders, and spectacular graphics!! 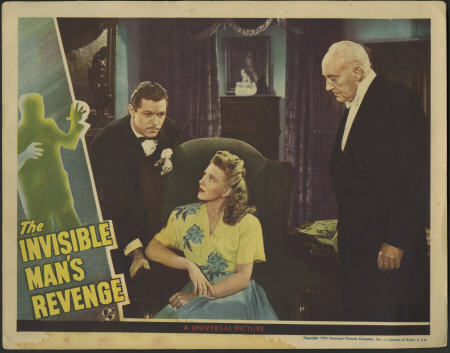 A very rare title to come by! 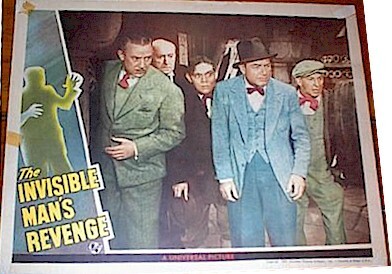 Also, just acquired an original lobby card scene from 1944. 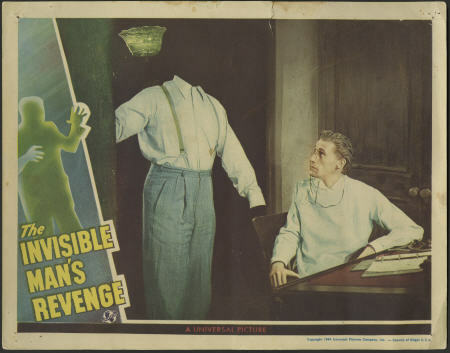 1944- JUST Acquired - TWO Spectacular Lobby card sform this "Invisibkle Man" title.